DAT drives are based on Digital Data Storage (DDS) format, the most successful tape backup format of all time, with an installed based of over 9 million drives. DDS technology has led the tape market for so many years because its capacity, reliability, and low cost continue to meet the needs of many organizations. 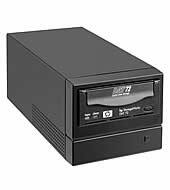 DDS tape drives have backwards compatibility with previous DDS generations, providing excellent investment protection. The low cost of DDS media contributes to DAT's extraordinarily low cost of ownership. Its small form factor makes DDS suitable for many servers and workstations, and 9to5 computer offers a range of internal, external, hot-plug and rack-mount models to fit almost any system.